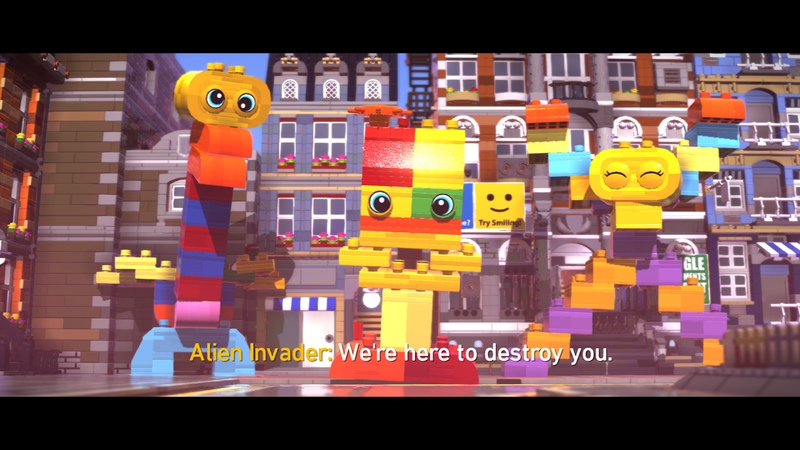 LEGO Movie 2 kicks off with cute aliens coming down and attacking, and it's up to you and your cast of characters and unlockable items to take them down. Honestly, the story is probably much more than that, but for me sort of took a back seat once the opening cutscene was out the way and you got on with playing the game, as the only time I reminded myself the game had a story was when facing one of the three (ones I remember anyway) bosses, otherwise, you tend to forget it's there due to there not being much about it. The goal to the story portion of the game is making your way through levels and earning yourself enough purple blocks to unlock a portal to the next stage. You do this by doing story quests and side things or even just finding them laying around the area. Nothing too tough here, which does make the story side of the whole game just fall flat. You can, of course, go back and explore a bit more once finishing up the level and complete one of the many side quests on offer in each location. Racing, collecting things, taking something to someone, taking down some bad guys. having a certain build or character. You know? the norm what you come to expect from a LEGO game. While this adds a few more hours onto the short feeling story side, it is also nothing new to the LEGO games that we've seen before. The only real difference to this compared to other games is the budget feel, which it shows by its lower price. 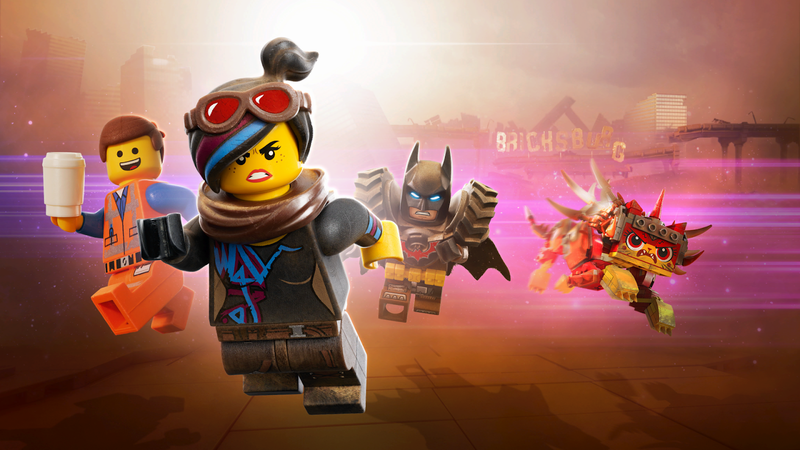 I've read online that the game feels like a LEGO game meets the LEGO worlds game that was released in 2017, but this isn't something I can confirm myself as I never played that game. Lego Movie 2 lacks the smashing of areas which then require you to build up the blocks into an item you need to move on, but rather gives you builder page and a bit later on a master builder page which allows you to build items you need in order to carry on through a level or complete some building quests to earn those purple blocks. You also earn items like gloves that can smash green walls, welding tool, and paint wand as you work through the game. Main items are all items you need while playing through the story like a sprinkler, a generator, and a bouncing pad. 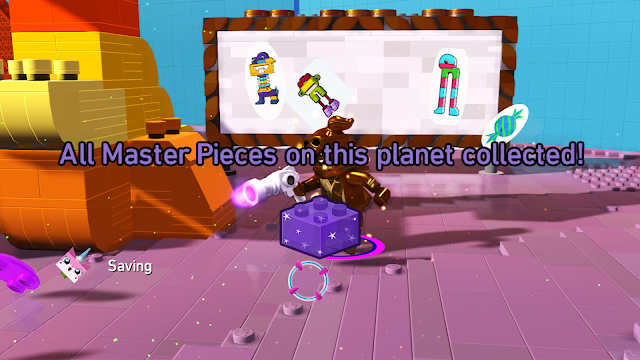 For me, I really missed that standard building format of previous LEGO games, but props to them for trying something different and mixing things up. 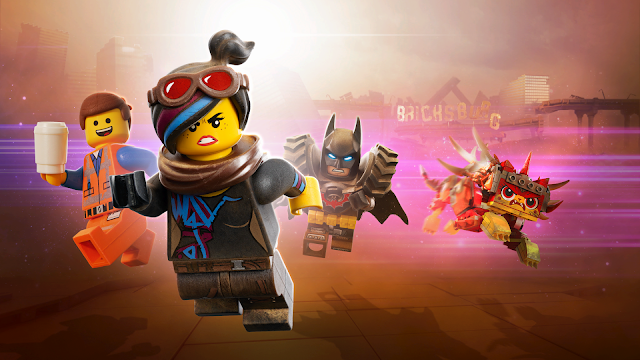 Overall: A different LEGO game from the ones you expect, but I came away from it feeling not that impressed, but then I am a 39-year-old guy and not the fanbase it's really going for. Achievement wise you can, of course, net yourself easy gamerscore by picking this up, with me sitting at the 735 mark without really putting in too much effort on the achievement side, so it will please that crowd too. For me, it just felt an empty world with a story that never really went anywhere, also only a few speaking parts, with the old noise talkers who just mumble coming back out of nowhere. Huh, nice to see that they changed some stuff from the usual Lego experience. I only get interested if I enjoy the franchise so the Superhero Villians one was the last one I bothered with. Good games but that predictable gameplay had bored me, hopefully they keep experimenting though, it's getting real samey. Great review btw Tone, always nice to see you post!